Dagenais, Maxime. "Parti rouge". The Canadian Encyclopedia, 30 June 2016, Historica Canada. https://www.thecanadianencyclopedia.ca/en/article/parti-rouge. Accessed 18 April 2019. Successor of the Parti patriote, the Parti rouge was a radical liberal political party from Canada East (Québec). Successor of the Parti patriote, the Parti rouge was a radical liberal political party from Canada East (Québec). From the 1840s to Confederation, the party stood in stark opposition to George-Étienne Cartier’s conservative Parti bleu. Fighting for democratic reforms, such as universal suffrage, the party allied with George Brown’s Clear Grits, even forming a coalition government for a few days in 1858. The Parti rouge was never a dominant political force in Canada East, owing to its radicalism and anticlerical attitudes. Following Confederation, which it opposed, moderate members of the Parti rouge merged with the Clear Grits, creating the Liberal Party of Canada. Though the Patriotes were defeated in the Rebellions of 1837–38, and the Canadas were united in 1841 — a move aimed to assimilate French Canadians — the national and political consciousness that was born among French Canadians in the 1820s and 1830s did not vanish. Louis-Hippolyte LaFontaine and his “French block” had limited the damage caused by the Act of Union; however, young and educated French Canadians from the liberal professions — lawyers, doctors and notaries — remained concerned with their position in the colony. English and Scottish merchants still controlled the colony’s economy and the British continued to dominate the colonial administration. Moreover, as a result of the loyalty it showed in 1837–38, the Roman Catholic Church regained its legal status in 1839 and began to rebuild. Preaching ultramontanism, an ideology that promoted the authority of the church over civil society, the Church began to increase its control over French Canadian society and government in Canada East (Québec). In the 1840s, many were frustrated by the conservatism and lack of democratic reforms in LaFontaine and Robert Baldwin’s Reform Party. Spurred by the liberal revolutions of the 1830s and 1840s in Europe and influenced by the populist policies of Jacksonian Democracy — the establishment of universal suffrage (for white men), for instance — this new breed of reformers began to demand more radical and democratic change. The Parti rouge originally met at the Institut canadien. Founded in 1844 in Montréal, the Institutwas a library, a conference hall and a forum for debate. Over the years, numerous Patriotes and reformers — from radical to moderate — including Wolfred Nelson, Charles Mondelet, Étienne Parent and Augustin-Norbert Morin, spoke at the institute. The ideas discussed there shaped Parti rouge ideology, including: universal suffrage, the separation of Church and State, the abolition of the seigneurial system, the end of Union, representation by population, annexation to the United States, and various constitutional reforms (such as an elected Legislative Council and governor general). The Parti rouge also established its own newspaper, L’Avenir. Founded in 1847 by Jean-Baptiste-Éric Dorion and George Batchelor, it became the voice of the movement. The movement turned against Louis-Hippolyte LaFontaine when Louis-Joseph Papineau, former leader of the Parti patriote, returned to Canada from an eight-year exile in 1845. In 1848, Papineau was elected to the Legislative Assembly, where he immediately found himself at odds with LaFontaine’s conciliatory policies. Papineau simply could not support the Union of the Canadas. Speaking at the assembly, he condemned the current equal representation between Upper and Lower Canada because it was not proportional to the population of both colonies. Papineau believed that rep by pop would one day hurt French Canada, as the rapidly growing English-speaking population of Canada East would campaign for it and use it to control the Legislative Assembly. Canada East, he argued, would thus become a double colony: dominated by England and Canada West (Ontario). What French Canada needed was a government separate from Canada West. For Papineau, there was only one option: the end of union. The radical liberals championed Papineau in the Legislative Assembly — though he was never the official leader of the party, he was an honorary member. 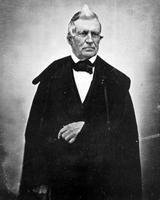 In 1854, after Louis-Joseph Papineau retired from politics, Antoine-Aimé Dorion became party leader. Under his tenure, the Parti rouge adopted a moderate and rounded platform, focusing on secular education, abolition of the seigneurial system, an elected legislative council, commercial reciprocity with the United States, and universal suffrage. Dorion favoured a federation style of government, believing that it would guarantee provincial rights. In the party’s first election under Dorion’s leadership, in 1854, the rouges sent 19 representatives to the assembly with most coming from the region of Montréal, including Dorion. In fact, 62 per cent of Montrealers voted for the rouges. Thanks in large part to Dorion’s support of the Montreal Annexation Manifesto, the party won the support of the English-speaking business community. This was the high point of the party’s representation at the assembly. By the next election, in 1857, their number of seats had fallen to 13. In reality, the party only attracted a small percentage of French Canadian voters. Its anticlericalism and radical liberalism were too alienating to the conservative and devout French Canadian population. Moreover, his alliance with George Brown — leader of the Clear Grits and a reformer who used his newspaper, the Toronto Globe, to condemn and ridicule the Roman Catholic Church — cost Dorion support. Throughout the 1850s and 1860s, the Roman Catholic clergy used its sermons to condemn the party in favour of George-Étienne Cartier’s Parti bleu. Priests would often famously say, “Le ciel est bleu et l’enfer est rouge” (heaven is blue and hell is red). Following a crushing defeat to the Parti bleu at the 1857 election, Dorion sought an alliance with Brown, who had won a majority in Canada West. Though both politicians supported similar republican principles, they disagreed on representation by population, which most rouges were against. Dorion agreed to support rep by pop if Brown agreed to protect provincial rights through the adoption of a federal union, among other measures. After the resignation of the government of John A. Macdonald and George-Étienne Cartier in 1858, Brown and Dorion formed a government. It only lasted a few days, as a motion of non-confidence brought it down. The late 1850s and early 1860s were challenging years for the Parti rouge. Brown’s Clear Grits clashed with Dorion’s rouges, and Brown refused to support Dorion’s proposal of a federal union. 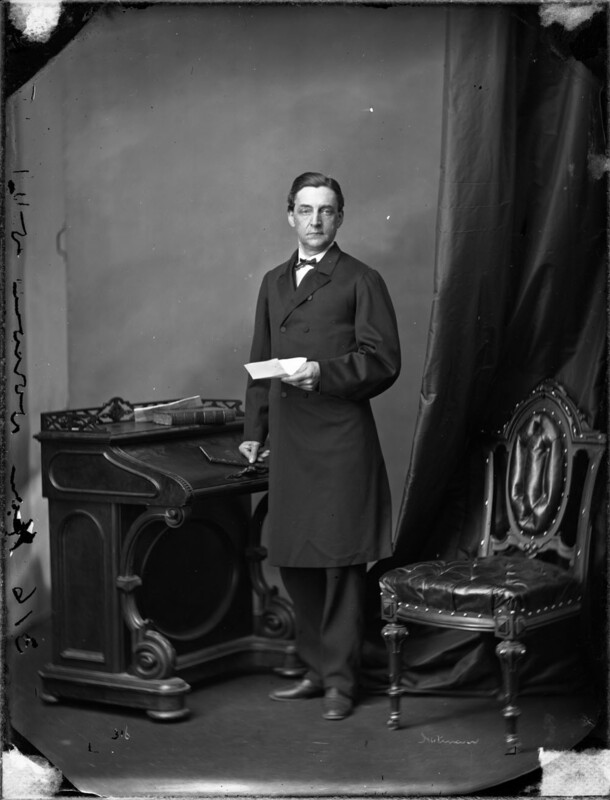 Moreover, in the 1861 election, Dorion lost his seat in the Legislative Assembly to Cartier. He rejoined the assembly as representative for Hochelaga in June 1862. In 1863, a coalition of Reformers and Grits under John Sandfield Macdonald and Dorion’s rouges formed the new government. A year later, it was brought down by the Conservative government of Sir Étienne-Paschal Taché and John A. Macdonald. Antoine-Aimé Dorion’s last major battle was against Confederation. Speaking at the Legislative Assembly, he condemned the project and argued that under such a regime the provinces would lose all of their rights to a centralized government. He also criticized the Great Coalition for not formally consulting the people. Following the Québec Conference in 1864, Dorion and his party attempted to stir up opposition in Canada East. It was all for naught, however, as his campaign was no match for George-Étienne Cartier, who enjoyed the support of the Catholic clergy. As a result, most French Canadians supported the project, as was demonstrated in the first federal election following Confederation. While Liberal opposition won 17 seats, the Conservatives won 47. After the radical members of the Parti rouge were defeated by George-Étienne Cartier’s Parti bleu members in the election of 1867, only moderate liberals remained. 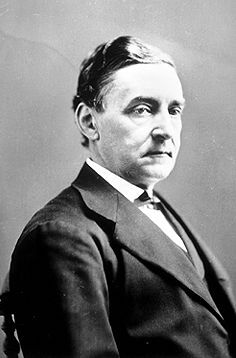 Following Confederation, Antoine-Aimé Dorion’s party merged once again with the Clear Grits, forming the Liberal Party of Canada. In the final years of his career, Dorion helped maintain the Liberal Party’s moderate approach, removing the anticlericalism and radicalism that had defined the Parti rouge. Such moderation lead to Liberal victory in 1874 and the rise of such moderate rouges as Wilfrid Laurier.